If a picture tells a thousand words a video tells so much more and Bill uses property video reports as his social media marketing strategy to build rapport with local property owners and those people who live in the Sans Souci and St George areas to keep them informed, introduce his new partner agents and allow them to learn a bit more about him as a person. 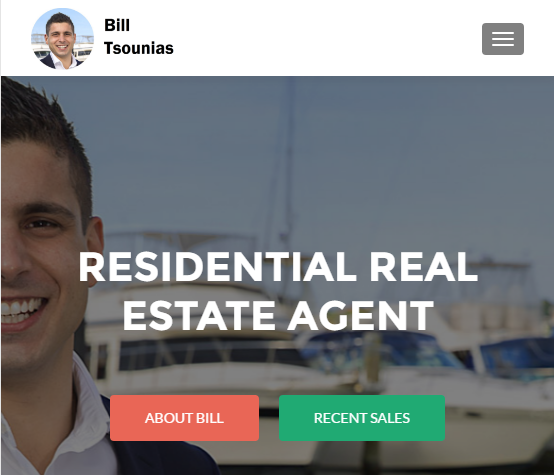 Bill has had success in the past and uses his real estate agent website to display all the properties that he has sold. This helps him try to build his credibility with property vendors and give Google a great amount of quality content for it’s local property market indexing.